With Star Wars: The Force Awakens opening in theaters last year, over $5 billion in merchandise sales were expected by retailers. 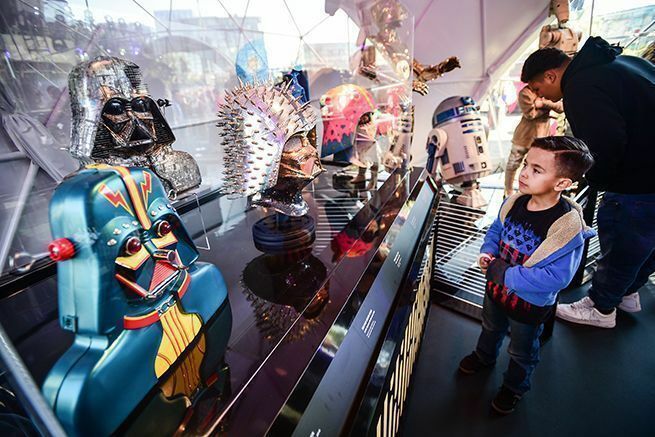 To that end, Target approached bluemedia acquisition, Digital Media Etc., for help in creating a range of ‘Galactic Experiences’ to showcase the Stars Wars-themed attractions and merchandise they had planned. 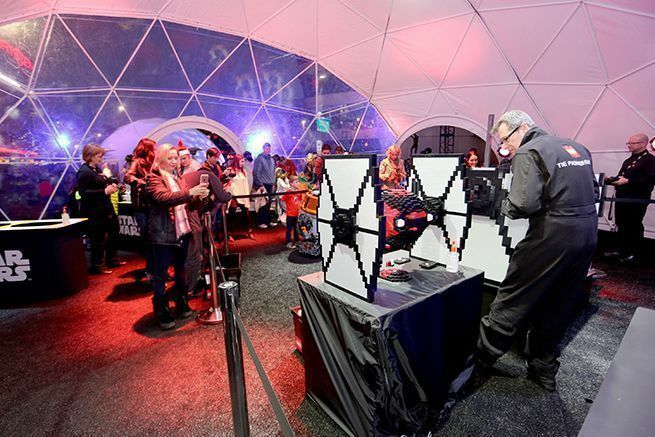 Working side-by-side with the brand, a series of beautiful, futuristic geodesic Target-branded domes were setup to house the attractions, including a one-of-a-kind Star Wars dome projection experience. Working like an on-premise planetarium, Star Wars fans were taken on a epic 3D journey, from galaxy to galaxy, and immersed in an epic battle sequence between the Dark Side and the Light. The Galactic Experiences also included use of Target-branded, light-synchronized wrist bands for the audience to wear during the show. As Rebel and Imperial starships fired different colored lasers across the domed-screen, audience members’ wrist bands flashed the same colors, reds and greens, adding an extra layer of visual excitement to the experience. 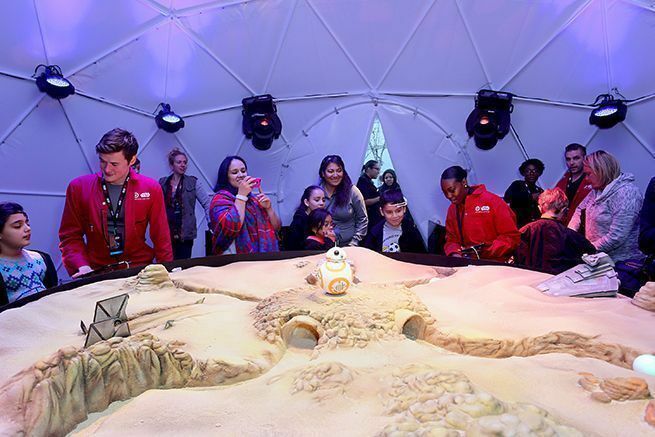 The 3D journey was a huge hit among Star Wars fans young and old, and was replayed more than 180 times over the two day event. 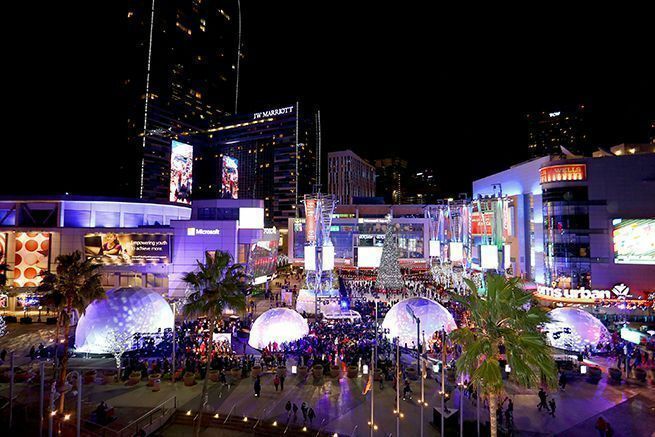 In all, tens of thousands of fans enjoyed the Galactic Village leading up to the Hollywood premier of Star Wars: The Force Awakens. Target, Bluemedia and NuFormer did a great job in this dome projection event.